MEDICAL COSTS SINCE MAY 2014: $738.17 PLEASE CONSIDER MAKING A DONATION! 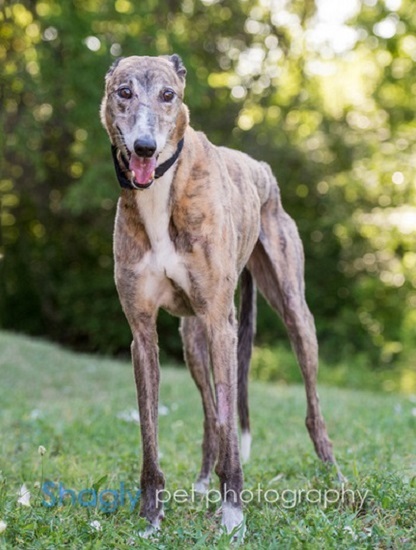 Emmy is an approximately 8-year-old brindle female with white feet and blaze. Emmy was surrendered due to a change in family circumstances. 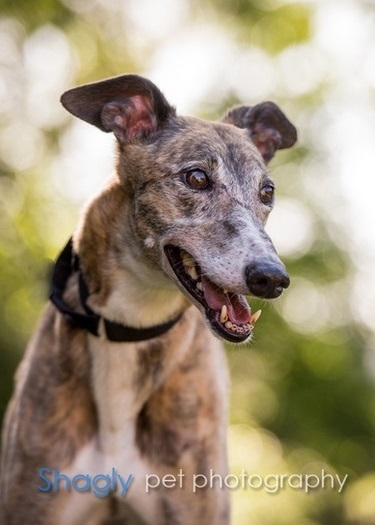 She originally tested positive to Ehrlichia Canis, but has now completed her treatment, has gotten a negative PCR test result, and her titer has dropped. Emmy has passed an initial cat test, but needs time with them in a foster home.